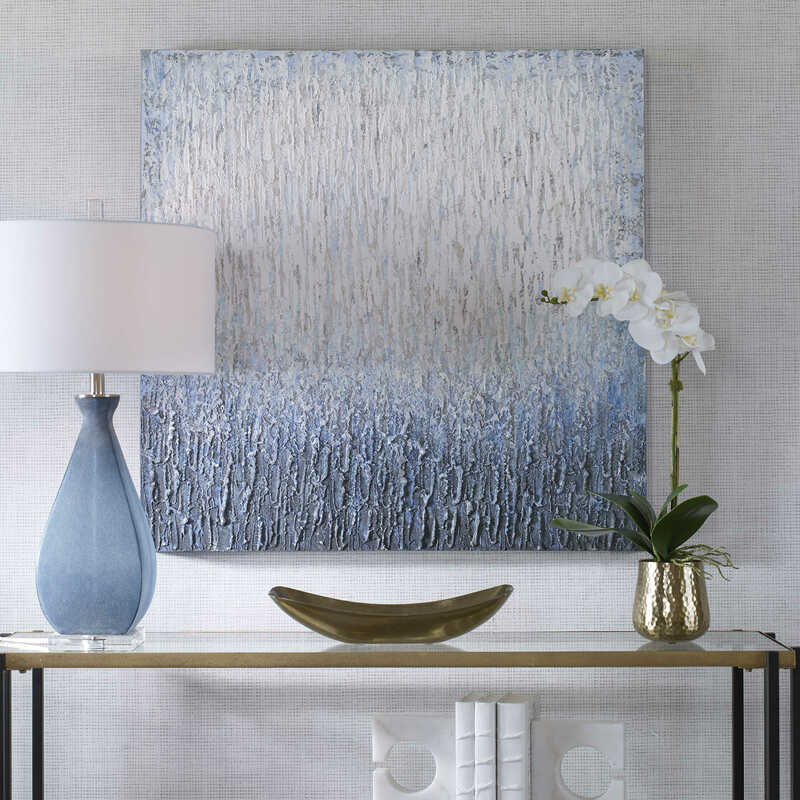 Contemporary style emanates from this hand painted abstract artwork on canvas. This piece features lush texture detailing in rich, on-trend blue tones. 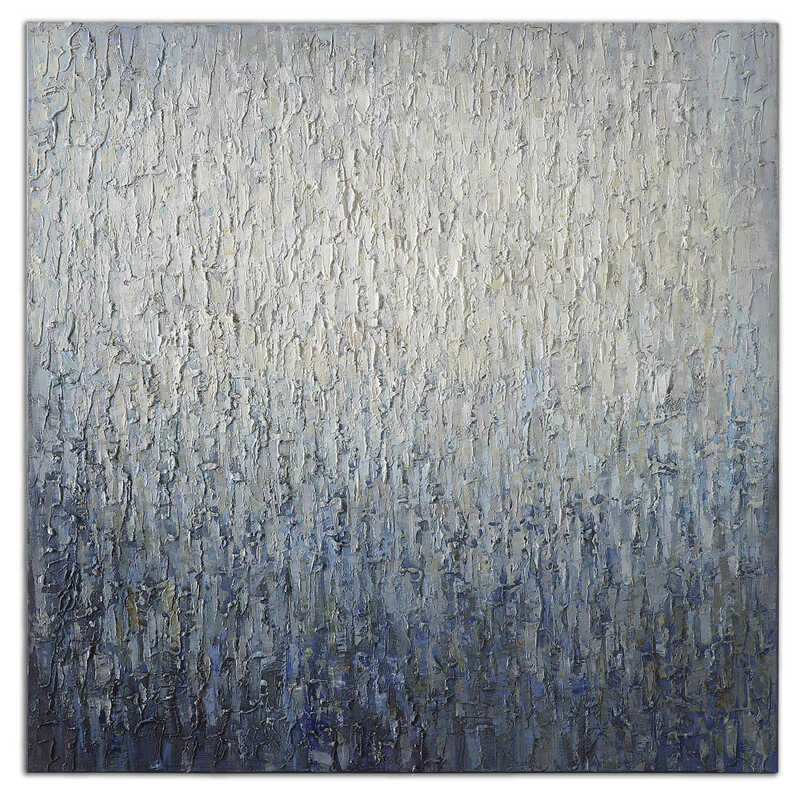 The monochromatic tones slowly fade from light gray-blue to deep navy, evoking a coastal feel. Each canvas is stretched and attached to a wooden frame. Due to the handcrafted nature of this artwork, each piece may have subtle differences.